Sony debuted the Xperia XZ2 at the MWC 2018. 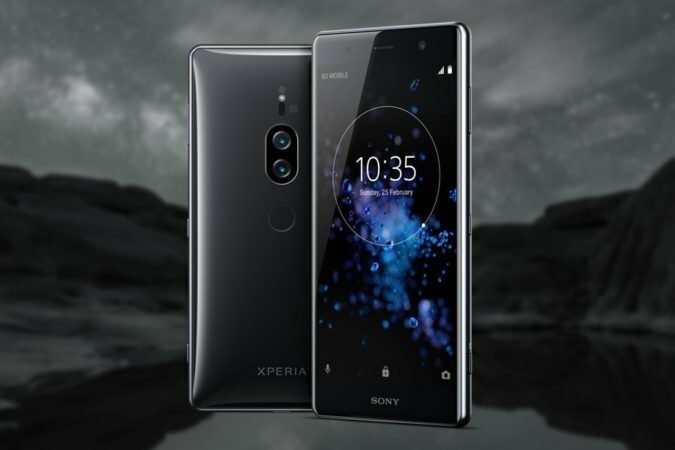 Following that launch, Sony is now working on the successor to the previous device, which is the Xperia XZ3. The phone is also expected to make its way to IFA 2018, in Berlin Germany. The highlight of this new phone by Sony is the top-end Snapdragon 845 which this device is going to run under the hood. Apart from this, the Xperia XZ3 is going to come with the IP68 rating which means that the device is going to be splash and dust resistant. The screen on the device is going to be the standard 18:9 aspect ratio. Chinese blog Sumahoinfo leaked the specifications of the phone online. The blog revealed that the dual SIM phone is going to come with Android 8.1 Oreo and will sport a 5.7-inch Full HD+ screen with 1080 x 2160 pixels resolution display. Like we mentioned above, the display is going to be the standard 18:9 ratio. The leaked specifications also mentioned that the phone is going to come with the Qualcomm Snapdragon 845 SoC, paired with the Adreno 630 GPU and 6GB of RAM. The imaging on the device will be made possible by the dual rear camera setup which will comprise of a 19MP primary sensor with a f/1.8 aperture and a 12MP secondary sensor with a f/1.6 aperture. It is worth noting that the camera setup on the Xperia XZ3 remains the same as the one on XZ2 Premium which was released earlier this year. However, the dual camera setup is surely a step up from the previous device, the Xperia XZ2 which sports a 19MP sensor along with a f/2.0 aperture. For selfies, the phone features a 13MP sensor with a f/2.0 aperture on the front. The Chinese sources also brought it to notice that the new phone by Sony will debut in two variants – one with 64GB storage and the other one with 128GB of storage. Both the variants will come with the option of expandable storage with up to 400GB which can be done via a MicroSD card. The connectivity options on the phone will include 4G LTE, Wi-Fi, Bluetooth v5.0, GPS/ A-GPS, NFC, and USB Type-C. The battery which will contain 3240mAh worth of power will be accompanied by Qualcomm’s Quick Charge 3.0 technology. This is again a step up from the previous Xperia XZ2 which packed a 3180mAh battery. Speaking of dimensions, the new phone measures 153x72x10.1mm while the XZ2 used to measure 153x72x11.1mm. Although, there haven’t been any updates about the pricing of this new phone, given the hefty leak of this device, some promising info on the pricing of the Xperia XZ3 can be expected soon in coming days.